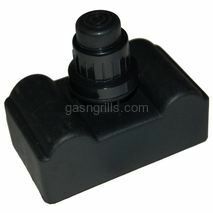 Amana 6-Outlet Electronic Spark Generator. 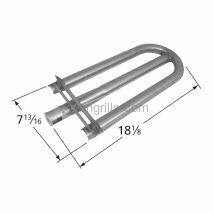 Fits Amana Grill Models: AM30LP, AM33LP. 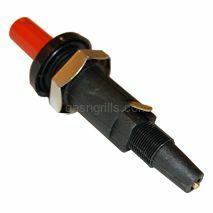 Amana 4-Outlet Electronic Spark Generator. 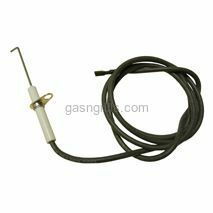 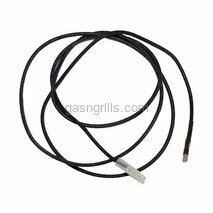 Fits Amana Grill Models: AM26LP, AM27LP, AM30LP-P, AM33LP-P.
Amana Electronic Spark Generator Wire.For use with Spark Generator 03340 Fits Amana Gas Grill Models: AM26LP, AM26LP-P, AM27LP, AM30LP-P, AM33LP, AM33LP-P.
Amana Electrode with Wire. 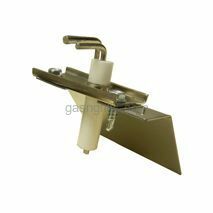 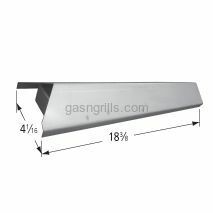 Fits Amana Grill Models: AM26LP, AM26LP-P, AM27LP, AM30LP-P, AM33LP, AM33LP-P.
Amana Electrode with Bracket. 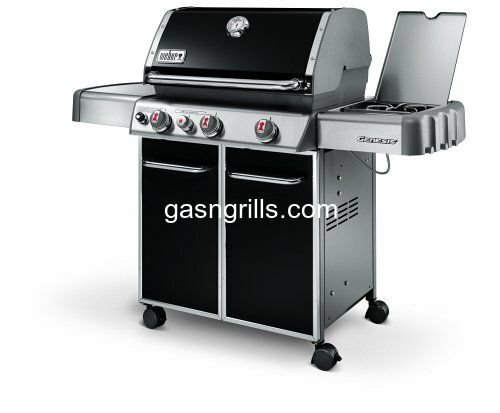 Fits Amana Gas Grill Models: AM30 (2007), AM30LP (2006), AM30LP (2007), AM33 (2006), AM33 (2007), AM33LP (2006), AM33LP (2007). 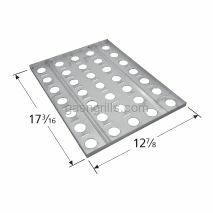 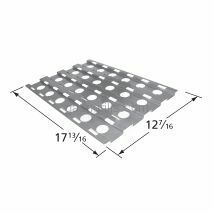 Amana Porcelain Coated Steel Heat Plate. 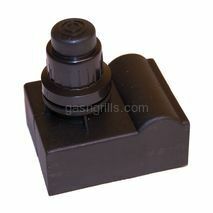 Fits Amana Grill Models. 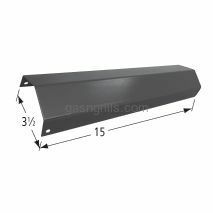 AM26LP, AM27LP, AM30LP-P, AM33LP-P. Dimensions: 15 x 3 1/2 Does Not Fit : AM30,AM30LP,AM33,AM33LP. 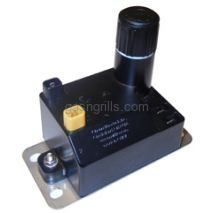 Amana Push Button Piezo Spark Generator with hex mounting nut and external ground usable as a ground or to conduct charge to a secondary electrode in grills with a side-burner. 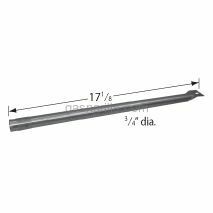 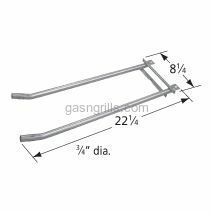 Fits Amana Gas Grill Models: AM26LP-P.
Amana Stainless Steel Tube Burner. 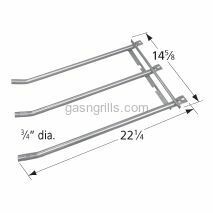 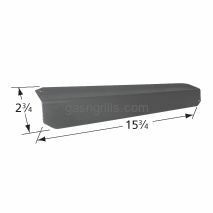 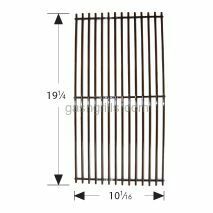 Fits Amana Gas Grill Models: AM26LP, AM27LP, AM30LP-P, AM33LP-P. Dimensions: 17 1/8 x 3/4 Does Not Fit : AM30,AM30LP,AM33,AM33LP.